As travelers who have celiac disease and gluten sensitivity add to the increasing number of guests who follow a gluten-free diet, cruise lines have stepped up to accommodate this now-ubiquitous dining requirement. In addition to the low-salt, kosher, vegetarian and low-sugar meal options, most ships’ special diets galleys now prepare gluten-free fare. Cruise lines across all sectors—mass-market, premium and luxury—now readily accommodate gluten-free guests with a large selection of nutritious, tasty and even sinful dishes. Mass-market leader Carnival Cruise Line has long touted its popular Chocolate Melting Cake, a rich, warm circular cake with a molten center, paired with a scoop of vanilla ice cream, as a signature dessert available nightly in its ships’ dining rooms. And while some would doubt that Carnival could pull off a delicious gluten-free version of this sinful sweet, those doubts were laid to rest when I recently enjoyed one onboard Carnival Miracle—and marveled at how close it tasted to the original. It was a milestone effort that demonstrated how far gluten-free dining has come aboard ships. Most cruise lines encourage gluten-free guests to take their meals in the ship’s formal dining room, where control over the ingredients, preparation and potential cross-contamination is better regimented than in the ship’s lido, or buffet, area. At dinner each night, passengers receive the next day’s menus, from which they choose items to their liking—even some that appear to be forbidden. Chefs then make the determination on whether a typically gluten-containing dish can be customized or not. Regardless, multiple safe options exist on all menus. Upon arriving at the dining room the next evening, the guest simply gives their cabin number to the waiter, who then tracks the meal order in the galley through to delivery. It’s a relatively seamless process that has been honed to near-perfection. Even though the dining room continues to be the safest choice for guests who have celiac disease, other dining venues aboard ships have more recently been offering gluten-free choices. Most pizzerias now feature gluten-free crusts, many buffets offer appropriate pasta choices, and some dessert stations even feature clearly signed safe items. As dining staff and crew aboard modern cruise ships have become adept at understanding and catering to gluten-free guests’ needs, cruise travel is once again a worry-free option—as it should be. 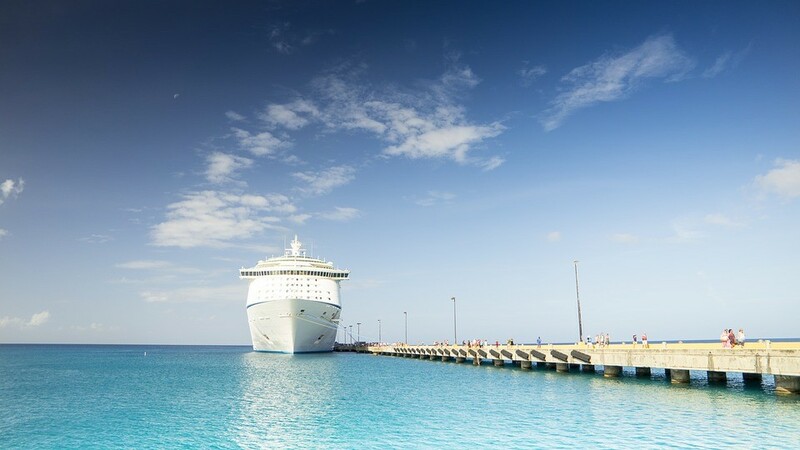 And due to the sheer volume of guests accommodated each week in the industry, gluten-free cruising has become just another way for passengers to relax and enjoy their trip, without the worry or the severe menu restrictions typically associated with this dietary requirement.